Trampolines are fun! Trampoline accidents are not! Learn how to have fun and be safe at the same time! While a backyard trampoline is considered one of the most entertaining playthings, it’s also very dangerous, especially for young inexperienced people. Teens commonly enjoy this type of game since it will send you flying for a couple of seconds. What they do not know is that there are certain risks in jumping on a trampoline. While trampolines provide enjoyment, harm could also be waiting on the sides. This is especially true for those who do not take some safety measures, like adding a safety net or enclosure. Incorrect landing is the most common cause of injuries in trampoline jumping. High jumps or collisions of several jumpers, somersaults and back flips are also causes of improper landing that may result to injuries leading to paralysis and death. However, sometimes all it takes to prevent such harmful occurrences is common sense and a good safety net. Here are seven ways that your family can use to prevent accidents associated with backyard trampolines and stay safe. 1. 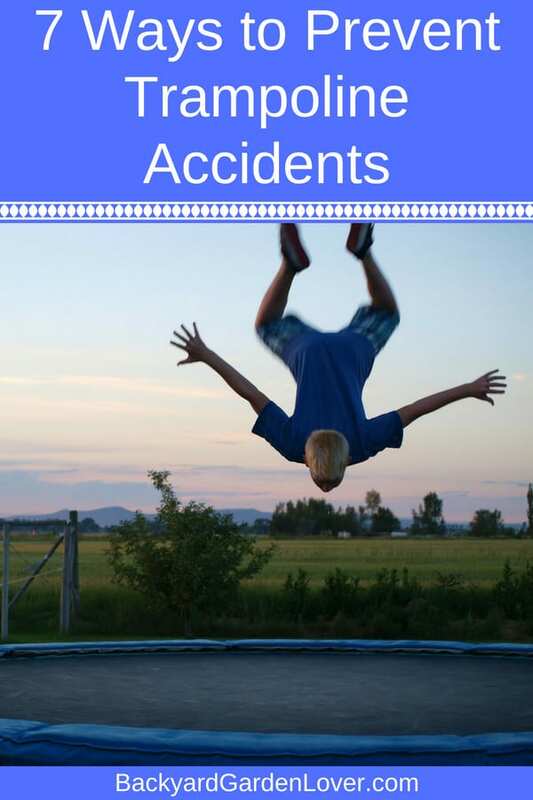 The most common cause of accidents in trampolines is multiple jumpers. They usually bump into each other or even accidentally push another person out of the trampoline. This results to accidental falls which may injure the other person in the head or other parts of the body. Thus, it is important to make sure that only one person will jump on the trampoline at a time. 2. 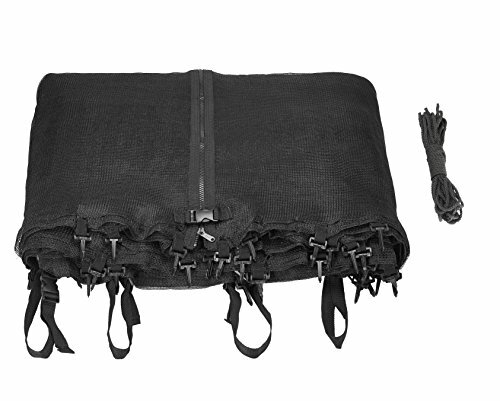 Employ the use of a net This will prevent falls that may result to worse injuries of the head. 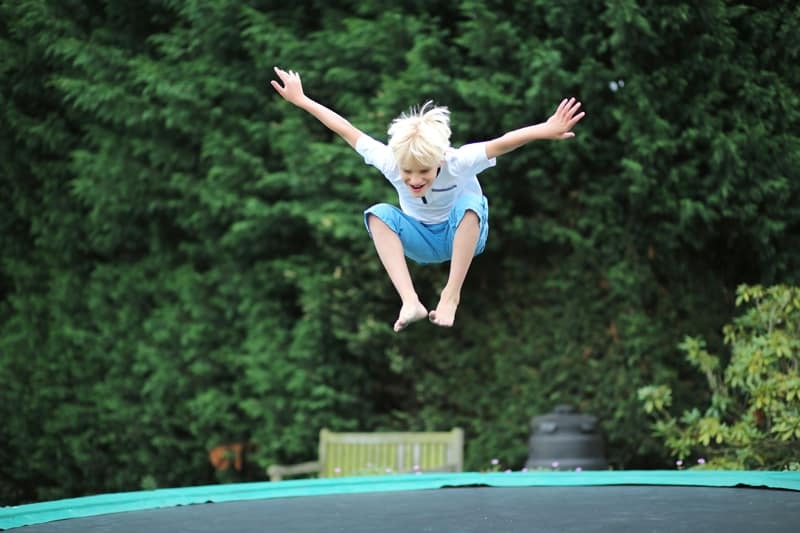 Since one kid can jump for as high as 10 feet, a soft surface must also be placed around the trampoline to prevent further damage in case they land in the wrong place. 3. Check for the condition of the trampoline regularly. Make certain that it is in excellent condition in order to prevent accidents. 4. Proper instructions should be given before you let your children jump onto the trampoline. Watch young kids carefully and place the backyard trampoline in a place close to your house where you can see the whole scenario. 5. Do not tolerate complex maneuvers such as somersaults and very high jumps. Improper performance of somersaults can result to worse condition such as paralysis or worse death. save those for when your kids are with a professional who can give them proper advise. 6. 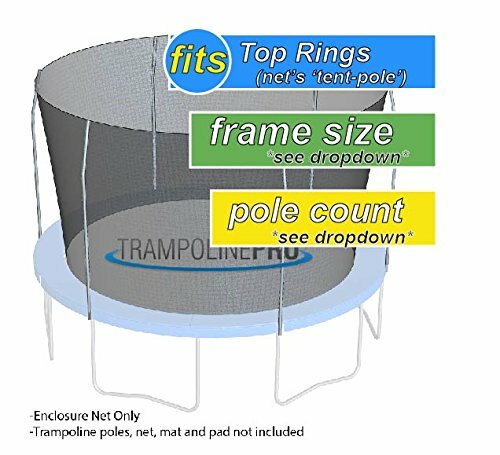 Newly made trampolines do not include a ladder anymore. If you have one in your old trampoline, take it away. This is to prevent very young children with ages below 6 years old from climbing over the trampoline and play without supervision. 7. Make sure that your trampoline is fastened well to the ground. Heavy winds may blow away your trampoline, causing it to break and possibly damage your garden and other property in your backyard. It is important to adhere to these simple instructions in order to avoid damage to the property and prevent accidents that may be detrimental to household members. Although trampolines provide users with immeasurable joy, they should still take good care of themselves when jumping beyond their control. Need a Net For Your Trampoline? If you don’t have a net, you need to get one ASAP to keep your children safe. I looked up on amazon and found this one for you. If you don’t have a trampoline, your kids might be missing out on some great fun! 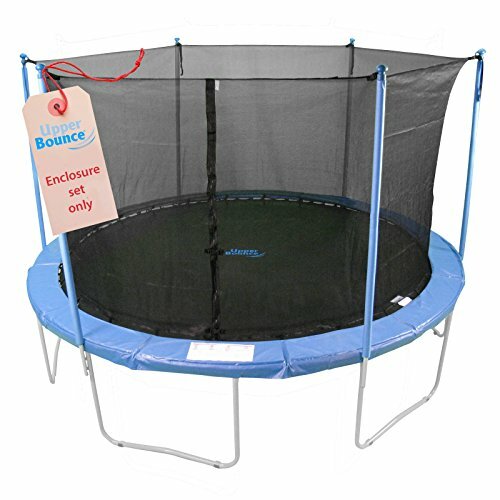 Here’s a trampoline that’s not very expensive, and it has lots of great reviews! And a basketball hoop too! You can get one at Amazon.